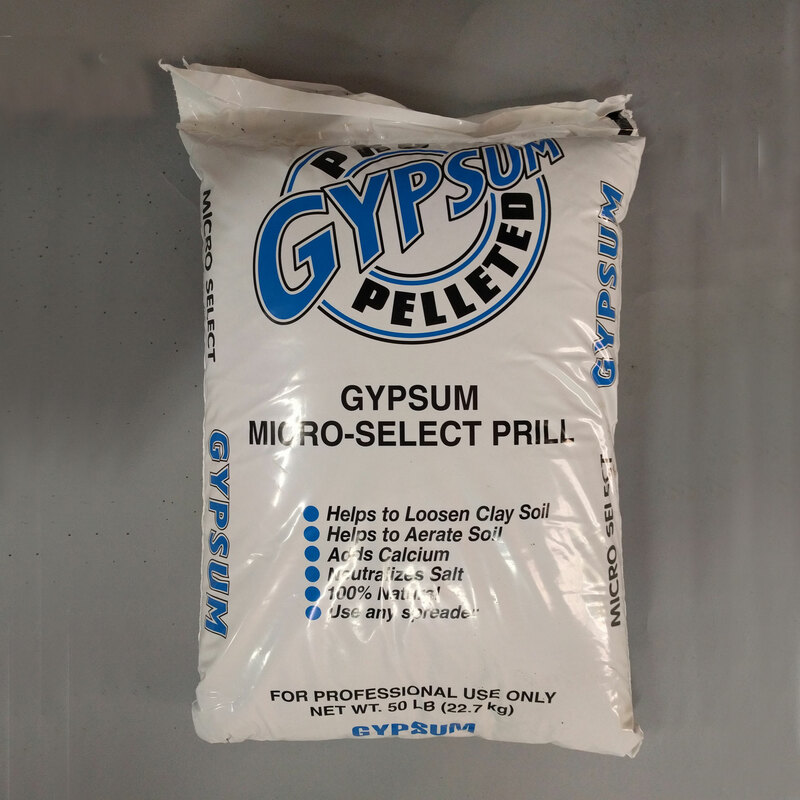 Gypsum is typically used to reduce help flush salts from the soil or to provide a high level of beneficial calcium to the soil without altering the soil pH. For normal applications apply 10-20 pounds per 1000 square feet. For severe compaction or salinity situations you may apply up to 50 pounds per 1000 square feet.